They call themselves the home of Esports betting, and they might be right because this bookmaker is offering a lot to esports enthusiasts. This bookmaker shows dedication and provides a huge variety of esports bets, secure payments, and a great experience. The design is clean and comfortable to use, and you will have no trouble, even if you are new to betting. Betspawn is a company from Sweden that turned the passion for esports and betting into an excellent platform for likeminded people. If you love esports and want to start esports betting at Betspawn, you are in perfect hands. Here you can read everything you need to know about the innovative esports bookmaker. 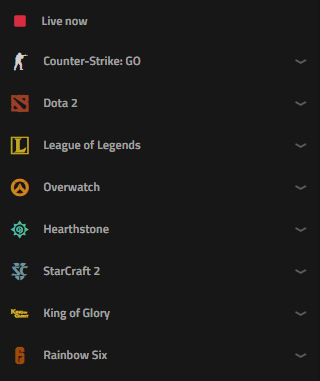 Do you want to know which games are available for Esports betting at Betspawn? The answer is almost all of them. They really take esports betting seriously. You can bet on League of Legends, Counter-Strike, Starcraft 2 and on Dota 2, like at most bookmakers. But Betspawn does not stop there, they also offer Overwatch betting, bets on Heroes of the Storm and Hearthstone. Their list just keeps expanding and other than most bookmakers they also offer bets on Smite, WoW, World of Tanks and Call of Duty. They also cover FIFA bets and many other esports games. They might be the bookmaker with the broadest variety of esports games available, and they keep adding new ones. Betspawn does not just offer a big selection of games to bet on, they also offer a lot of different types of esports bets. You can place map bets on the winner of a particular map, or a combination of map wins in LoL, Dota 2 and most of the other esports. They also give you the option to bet on the team you think will win a tournament or a league. Those are called outrights. And then for Counter-Strike GO, you have even more options. You can place your CS:GO bets on the total rounds or on whether a tournament ends in an even or odd number of rounds, or you can take it one step further and use a handicap bet for CS:GO. Live betting makes esports betting at Betspawn even more exciting. It gives you the chance to bet on a match while it is actually happening. So, you can decide on your bet based on the performance of the team and their shape on that specific day. And Betspawn would not be the house of esports betting if they would not also offer live betting on LoL, CS:GO and all the other games. Although their primary focus is on esports betting, Betspawn also offers bets on other sports like football, basketball or tennis. In case you ever feel that their esports betting selection is not big enough you can bet on other sports as well and take a stroll in the online casino. Yes, they also offer casino games like slots, roulette, blackjack and many others. As they focus on esports betting the odds for esports bets are very attractive. They follow the same format as other bookmakers but offer multiple bets and combinations to win even more. Especially for CS:GO you can find really great odds here, and they keep improving their betting options and odds steadily. Esports betting at Betspawn is not just a great experience based on the games and options offered; also the odds take part in this. The welcome bonus at Betspawn is excellent for those you want to start esports betting with a bang. 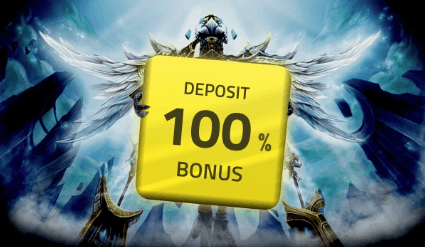 You can get an attractive match bonus on your first deposit. That means you can double up your first deposit up to 133.70 Euros. That is a very generous welcome bonus and will make love esports betting at Betspawn. You are not obliged to use the bonus if you do not want to. To be able to access your bonus funds and withdrawal your winnings from esports betting you have to meet the terms and conditions of the bonus. The turnover is 12x at bets with an odds limit of 1.70. Even payments work fast and easy at this bookmaker, and Betspawn does not charge any fees on withdrawals and deposits. You can choose between many different payment methods. You can use credit cards like Visa and Mastercard, but you can also deposit with Paysafecard. You can also use Bitcoins for your transactions with Betspawn. And there is the option to use e-wallets like Skrill or Neteller. There are many more options like Zimpler or Skinpay. There is a suitable method for everyone.